Normally mounted on the side of a machine tool using a magnetic mount. 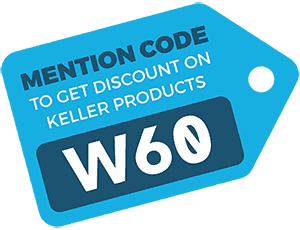 Keller ECO electrically-driven pump/skimmers offer an economical alternative to the compressed air driven TKO pump/skimmers for individual sumps, provided that the coolant has a relatively low level of suspended solids. 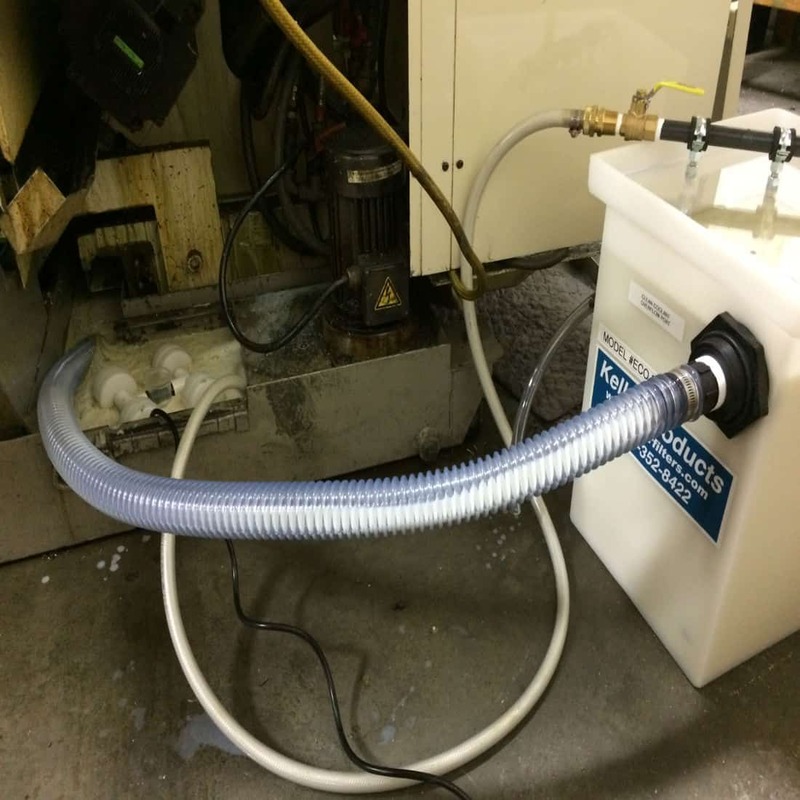 The ECO separators are also useful in shops with limited available compressed air supply. 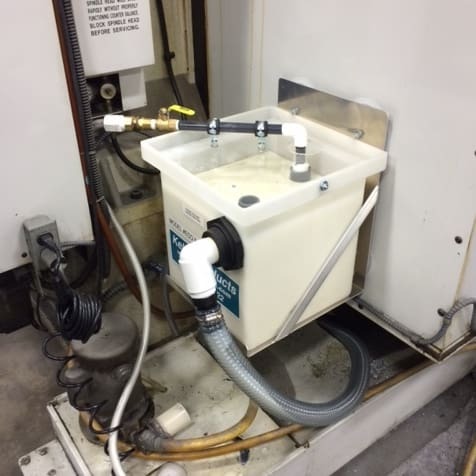 An ECO pump/skimmer pumps oily coolant from the surface of a sump or supply tank, removes the tramp oil, and continuously returns the cleaned coolant at a flow rate of 180 gallons per hour. 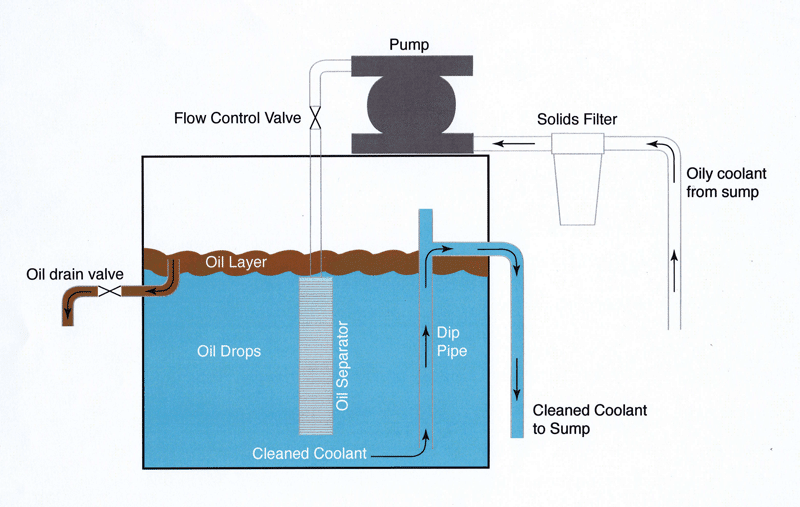 The oily coolant is pulled through a floating inlet device by a submerged pump mounted to the side of the sump or tank with the magnetic mount provided. The patented permanent Keller oil coalescing element separates the tramp oil, and the cleaned coolant returns to the tank or sump by gravity. The oil layer collects on the top of the separator tank and is occasionally drained into a waste oil container, simply by opening the oil drain valve. No other operator attention is required. Two models of ECO Separators are offered, the ECO 5.5 and the ECO 9.5. Each ECO Separator is shipped by UPS complete, ready for setup. The customer supplies only the 115 volt supply.